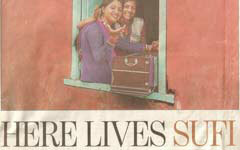 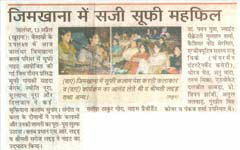 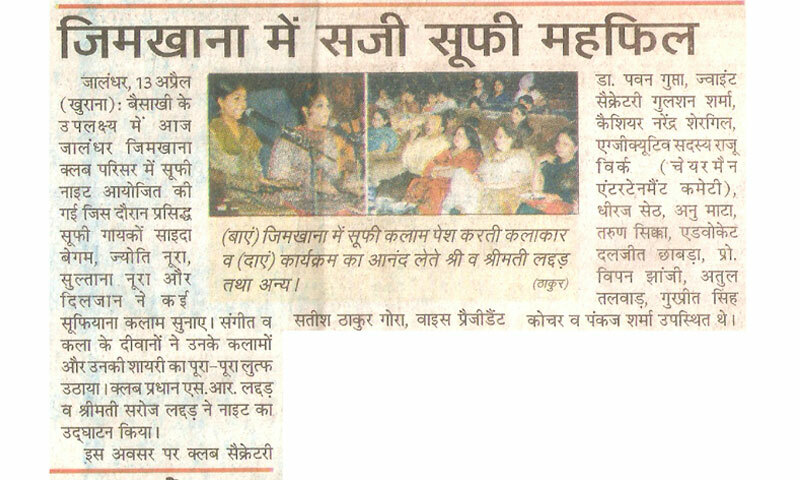 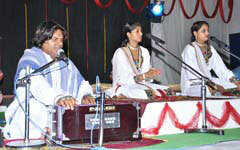 Nooran Sisters follow the Sham Chaurasi Gharana and “Mirasi” traditions of music. 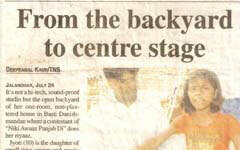 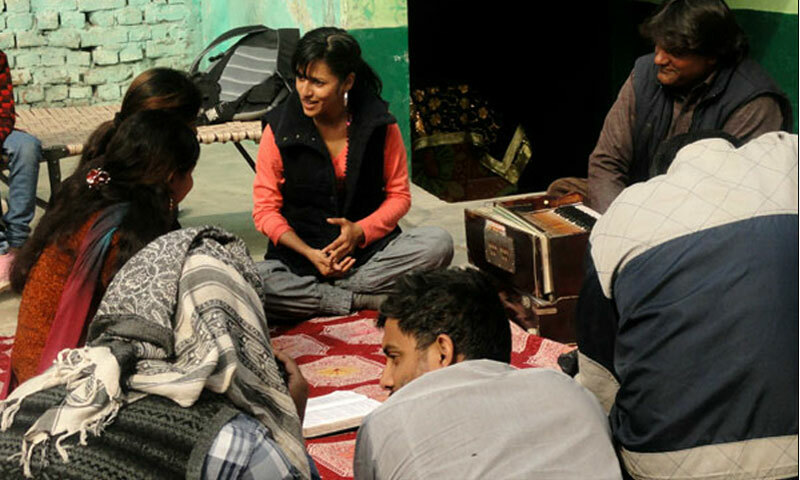 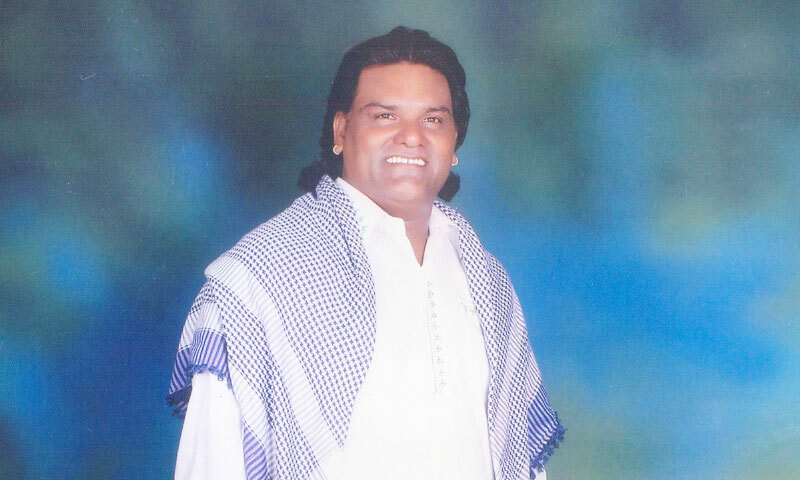 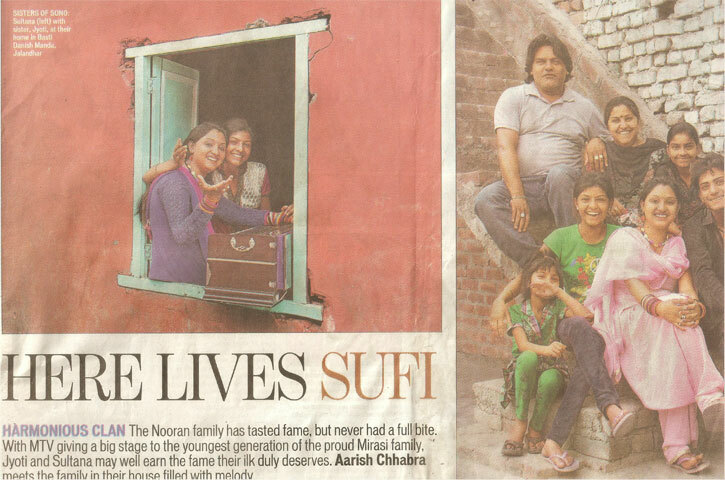 Sultana and jyoti’s father Gulshan Meer is not only their teacher and guru; he also composes the music. 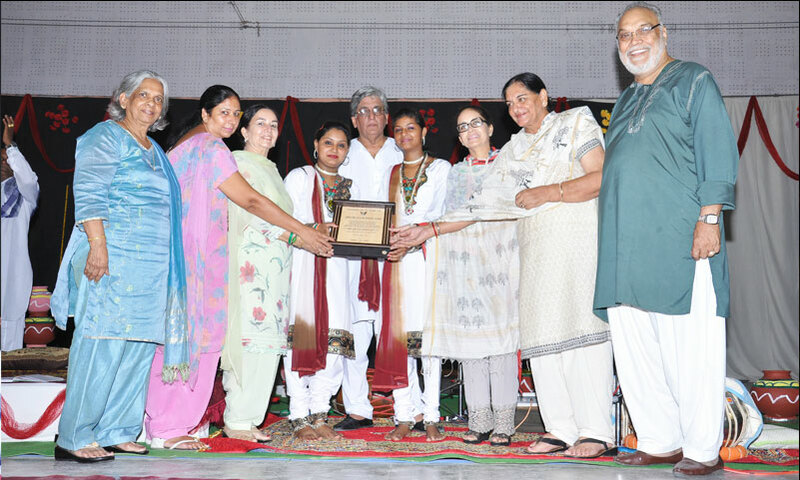 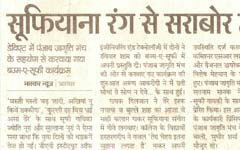 He makes arrangements for their concerts and performances. 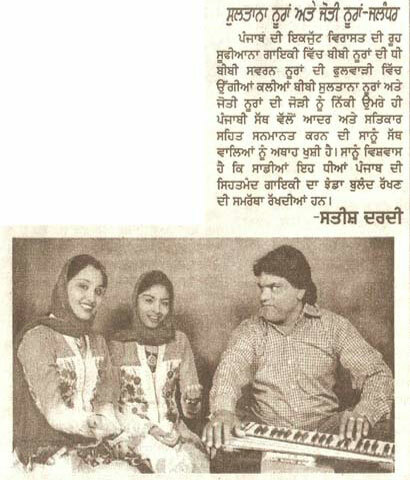 Sometimes he sings along, but mostly he is content to simply accompany his tremendously talented daughters on the Harmonium. 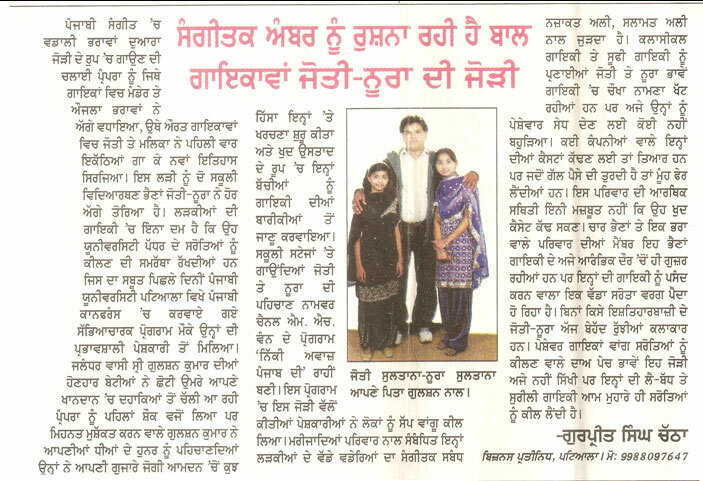 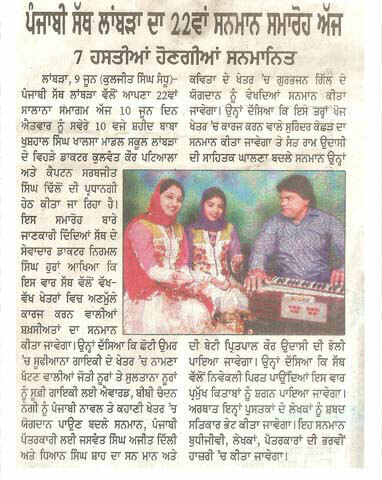 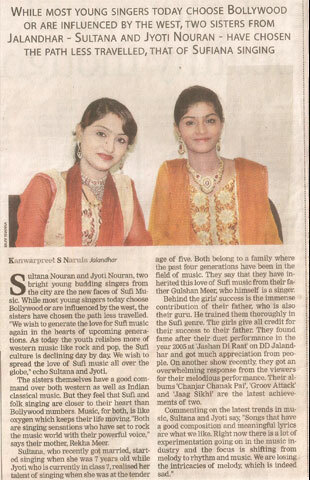 The Nooran Sisters Belong to Jalandhar, Punjab and are very rooted in their linguistic and Musical Traditions. 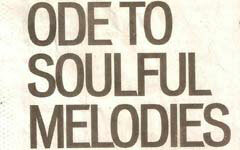 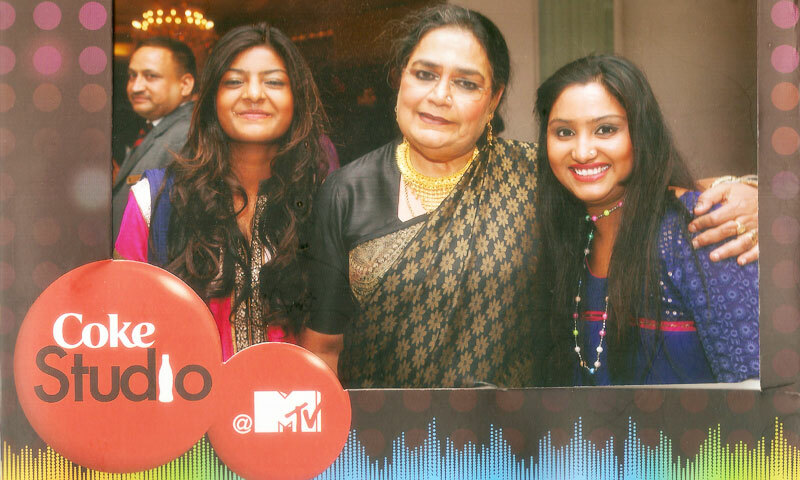 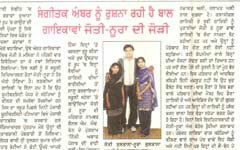 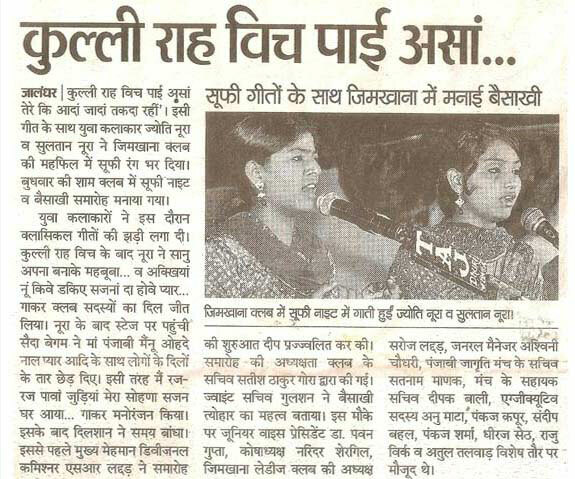 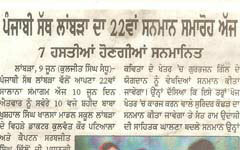 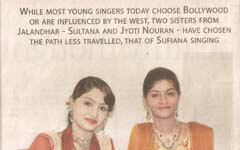 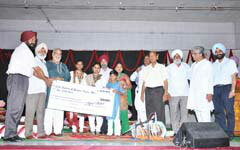 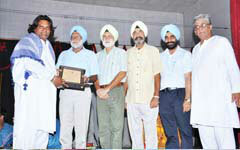 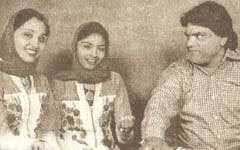 Their Grandmother Bibi Nooran Was A Well Known Singer Of Her Time, And The Nooran Sisters Now Follow In Her Footsteps. 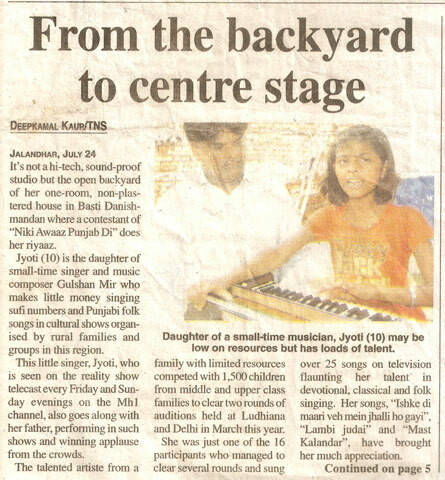 Their Father Gulshan Mir Noticed Their Precocious Talent While They Were Still Toddlers And Started Them Off On Their Musical Training.